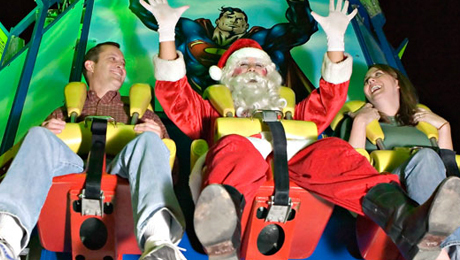 Six Flags Holiday in the Park Tickets Only $22.03! If you are looking forward to taking your family to Six Flags Over Texas Holiday in the Park soon, then here are a few deals to help you save on ticket prices. You can purchase tickets for $36.99 (all ages included) at sixflags.com or visit Goldstar.com and pay just $22.03 per ticket (all ages included). There is a service fee of $6 per ticket making them $28.03 on Goldstar but that is still a savings of $8.96 per ticket. *Free admission for children 2 and under. Previous post1 Yr. Magazine Subscriptions Only $5! ~ Woman’s Day & More! Next postTruewhite Teeth Whitening System $49 ($314 Value)!